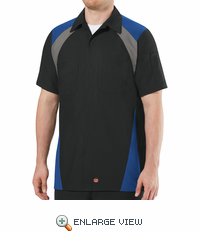 Features like a covered front placket and underarm gussets make this shirt a winner for any car guy. Plus, the tri-color design takes inspiration from the racing industry. 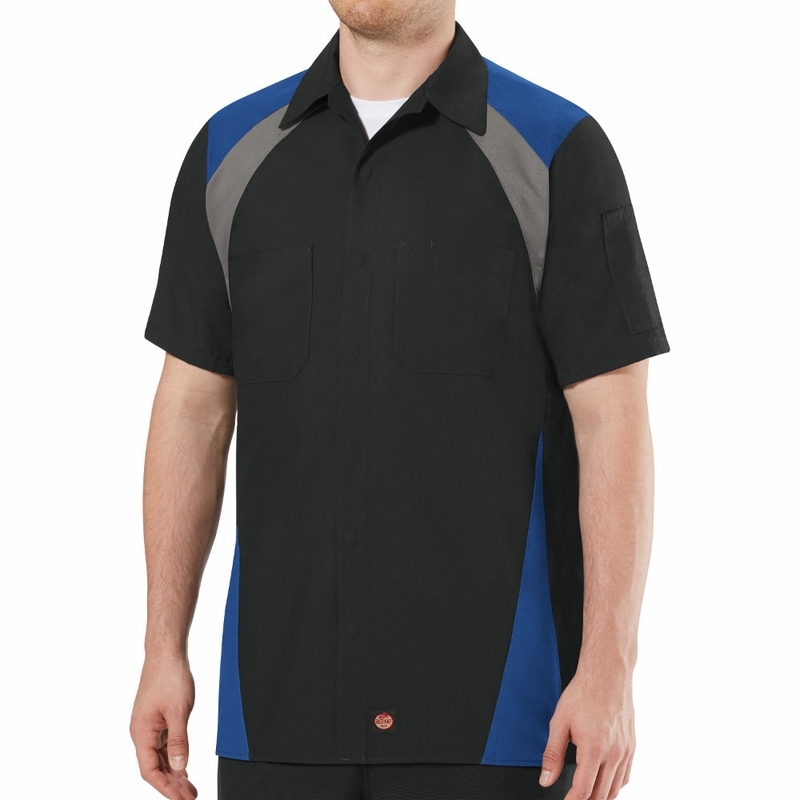 Soil Release, Moisture wicking, Color retention Concealed, no-scratch, gripper-front placket Convertible collar with sewn-in stays Scratchless chest pockets with pencil stall on left chest pocket Utility pocket on left sleeve for smaller objects Underarm gussets for better mobility Longer hem in back for extra coverage Relaxed fit.